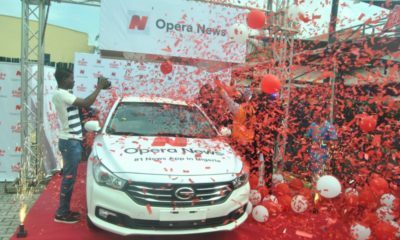 Opera News, the most downloaded standalone news app in Africa, celebrates the end of the successful campaign “Shake & Win” in Nigeria, by giving away the third brand new car to a 28-year-old college teacher. 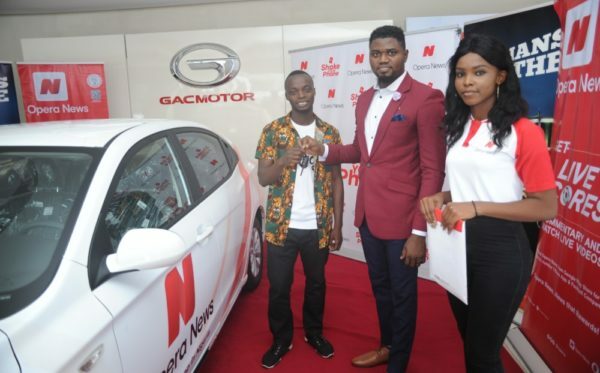 The lucky winner, Tiamiyu Olamilekan, received the keys of his brand new 2018 GAC GA3S on the 1st of August in a private event at GAC Motors car dealership located at Plot 7, Ligali Ayorinde Street, Vitoria Island, Lagos, Nigeria. 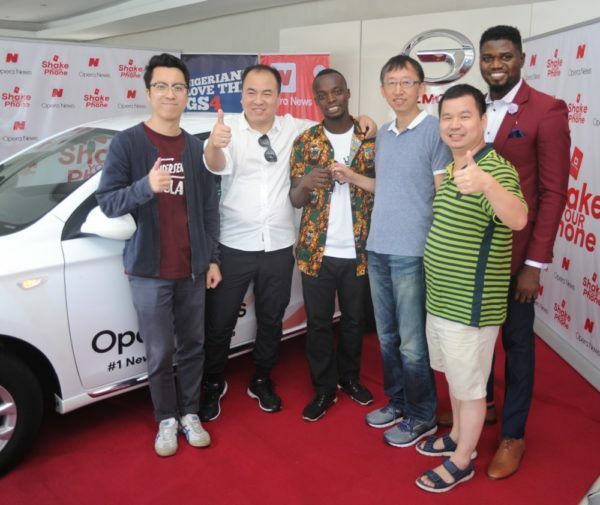 “We are very happy to present our last car winner and we are glad to celebrate with him and all our users the end of a very successful campaign in Nigeria,” said Jørgen Arnesen, Global Head of Marketing and Distribution at Opera. “The results speak from itself as we have registered more than 45 million shakes during one month and a half in the country”. 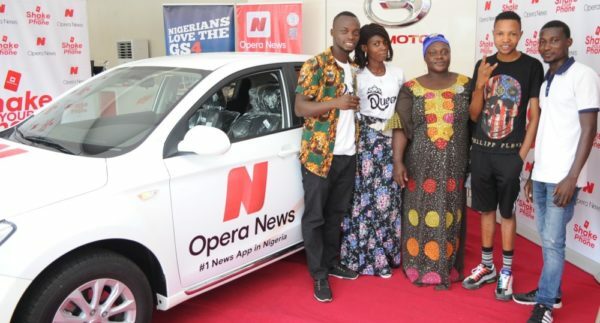 For Tiamiyu, winning the Opera News car has been an exciting experience that has changed his life but he also admitted to using the app for changing the lives of his students. 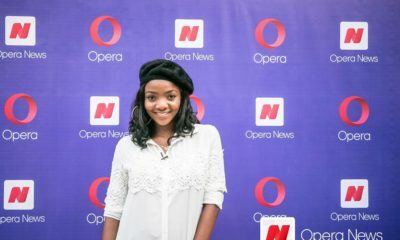 Opera News launched a built in “Shake” feature a month ago to reward its users with gifts and prizes in an easy way. 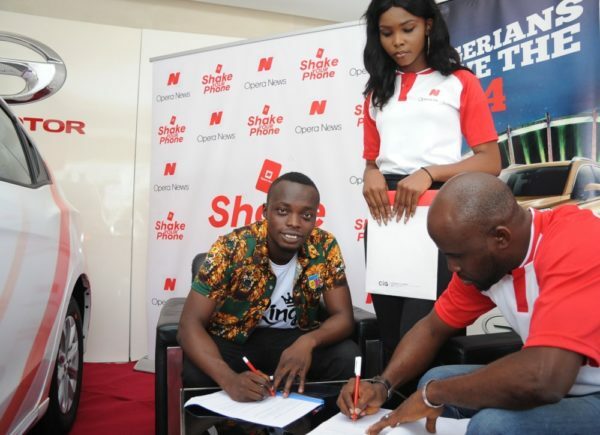 When users open Opera News, a shake command popped up on the screen, letting users know that they can shake their phones in hopes of winning an amazing prize.